Flo Paris has come a long way in a short time. The bakery-cafe opened quietly on Westheimer almost exactly one year ago, but it’s already growing. Owner Rabih Salibi tells CultureMap that he will open a second location in Rice Village, at the site of the recently-shuttered Mercantile coffee shop. Although he had considered an option in Montrose, Salibi says Rice Village is a better fit. The area’s pedestrian traffic will allow the bakery to be open from 7 am until 10 pm (the Westheimer location currently closes at 3 pm). When the new location opens in August, it will incorporate several lessons learned during the first year, with additions to the menu at both locales. First, each location will feature a dedicated coffee bar. Second, both locations will begin serving beer and wine. Finally, Philippe Schmit, the acclaimed chef who recently parted ways with Toulouse Cafe & Bar, has returned to help Flo Paris develop new menu items that will make it more appealing as both a brunch and dinner destination. Adding beer and wine will allow Flo Paris to serve something its customers have been asking for almost since day one. Expect 15 to 20 wines by the glass with a mix of French, Italian, and Californian options. Cheese plates are also coming. “When you are talking French, it’s cheese and wine. We don’t want to serve cheese without wine,” Salibi explains. Salibi has also hired two new chefs from France — Schmit describes them as “rock stars” — one for the savory side and one to assist baker Dany Srour. 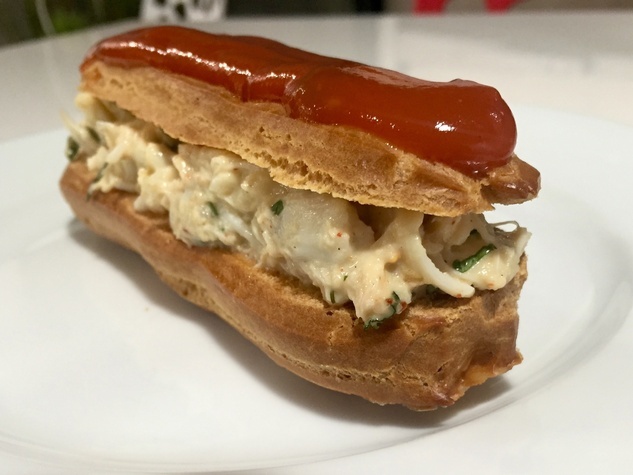 Schmit showed off a number of new dishes that are coming to Flo Paris’s menu, including eggs Benedict served on one of the bakery’s croissants, a duck proscuitto Napoleon, a peanut butter and jelly sandwich on toasted brioche bread (for the kid’s menu), and a savory eclair filled with crab salad and topped with a tomato glaze. French “boulanger-style” pizza, which is known for its thick, foccacia-like crust, will be available by the slice in a variety of flavors. Srour has also been busy. On the savory side, he’s developed a new bread with sundried tomato, cheese and olives. 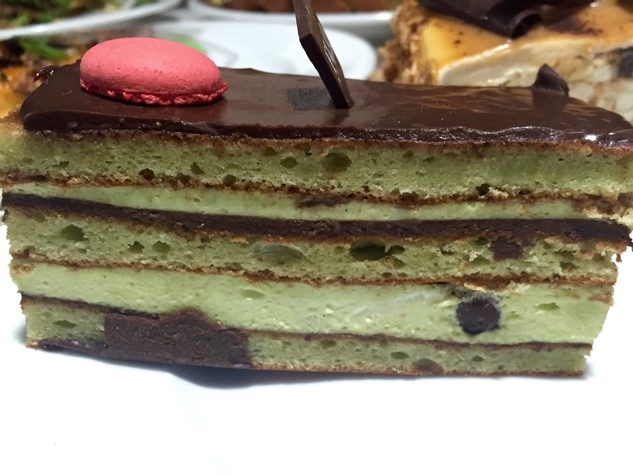 Additions to the pastry side include a pistachio-flavor opera cake and a classic palmier (the classic “elephant ear” pastry). With so much success and such promising prospects, only one truly bad thing has happened to Flo Paris in its first year — a rare zero-star review from Chronicle critic Alison Cook that trashed almost every aspect of the bakery’s offerings. Salibi hasn’t commented publicly on the dressing down, but he plans to continue working hard every day to prove her wrong.